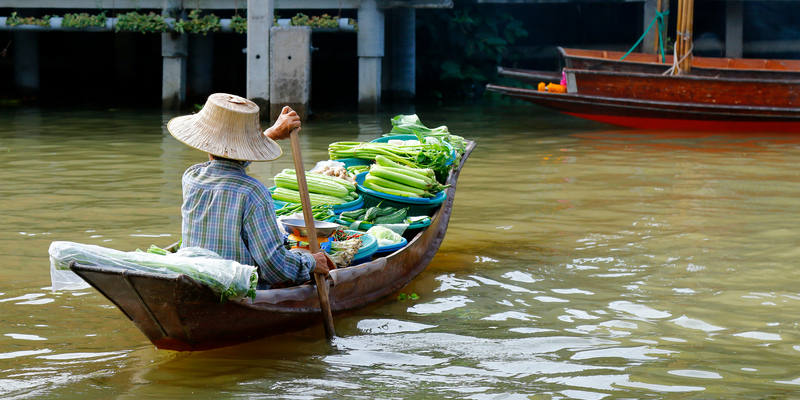 In 2017, plans were drawn up to introduce Cambodia’s first floating markets. I was surprised when I read about that news. Because when I went on those river excursions in Siem Reap in 2016, I saw plenty of local people selling their wares on the Tonle Sap Lake. One million Cambodians directly depend on this lake to make a living and the vast majority (90%) of those people have stilt houses constructed in the lake. A further 10% live in the floating villages I saw that day. Tonle Sap is one of the largest freshwater lakes in the world and is at the centre of an extraordinary interaction between two rivers, the Tonle Sap and the Mekong, which snakes its way through the capital, Phnom Penh. During the monsoon rains, the Tonle Sap River effectively runs “backwards”. 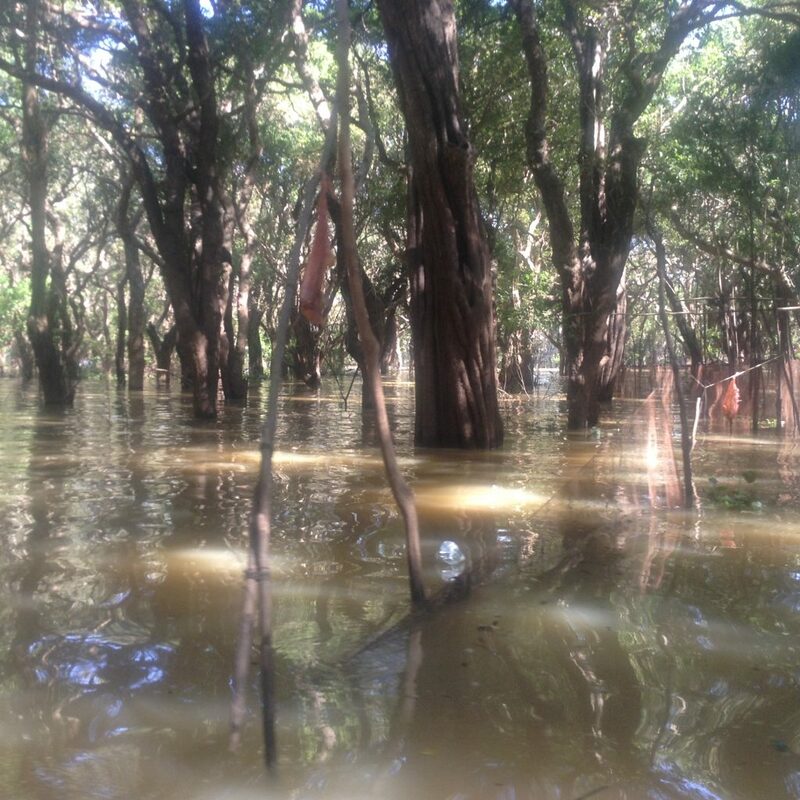 When this happens, entire forests are submerged in water, which has been used by pirates, poachers, local residents and merchants alike. The lake is also famous for its abundance of fish and as a result, it is also home to more than 170 fishermen villages. The river is home to entire villages that seemed to be suspended in a time capsule as they floated along the river. They sold everything from bags of rice, to fruits and vegetables and Buddha ornaments. While floating markets in Cambodia were certainly nowhere near as prolific and organised as they were in Thailand, there were plenty of smaller, independent boats that were trading from water-huts along Tonle Sap. I guess the main difference with Cambodia is that they are not standalone markets as such, but boats which are closely connected with the local villages, that were selling goods here and there. 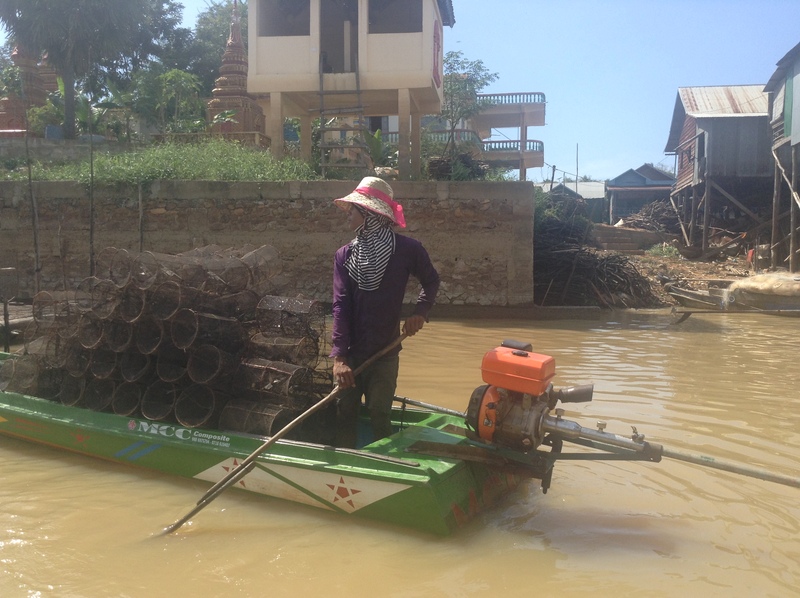 As I glided along in my tourist boat, I also got a taste of real life in Cambodia. What I saw were strong, resilient people living in impoverished surroundings trying to make money any which way they could. There were these tiny floating homes on the river where entire families would live in a space that was half the size of an average bedroom. It made me realise just how lucky I was to live in an entirely different set of circumstances. I’ve wasted so much time in the past complaining about my tiny one bedroom studio flat, but the reality is some people just had it way worse. I could afford to travel, put food on the table and set up my own business, while you had whole families that lived in the equivalence of a box. Despite this, I could plainly see that they worked hard to carve out a basic living for themselves and the river weaved all of their stories together in a fascinating snapshot of everyday life. 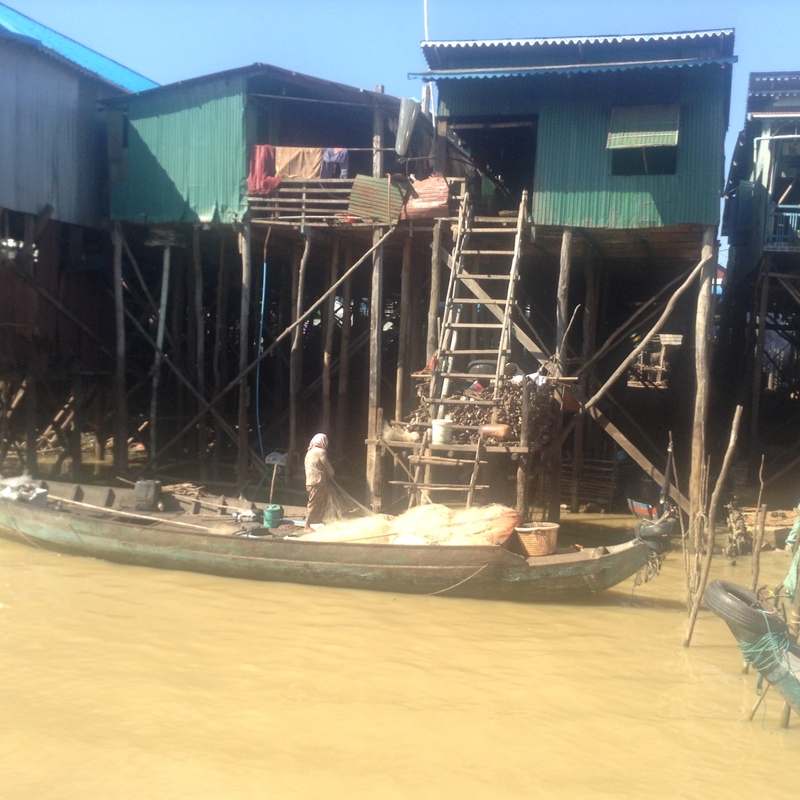 It was humbling to get a glimpse into the unique lives of the water communities of Tonle Sap. I’d never seen a water tree in my life, but as the boat weaved its way in and out of what appeared to be a water forest, I realised just how much I didn’t know. Pretty soon I found myself holding an apple and then another piece of fruit, as we stopped at various boat stalls to allow us tourists to buy snacks and souvenirs. Of course, the boat trip was part of an organised excursion, so there were the usual tourist rituals that you would expect, with local merchants trying to sell to us. I had no problem with this, as I don’t think I’ve ever done shopping from a boat in my life, so it was still a novelty to me. 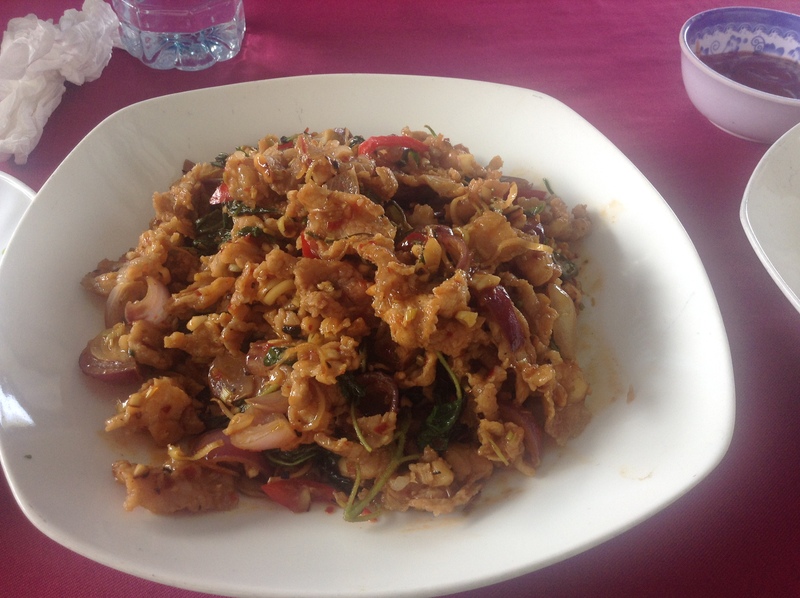 During the tour we stopped at one of the riverside shacks for a meal of fried crocodile meat and rice. 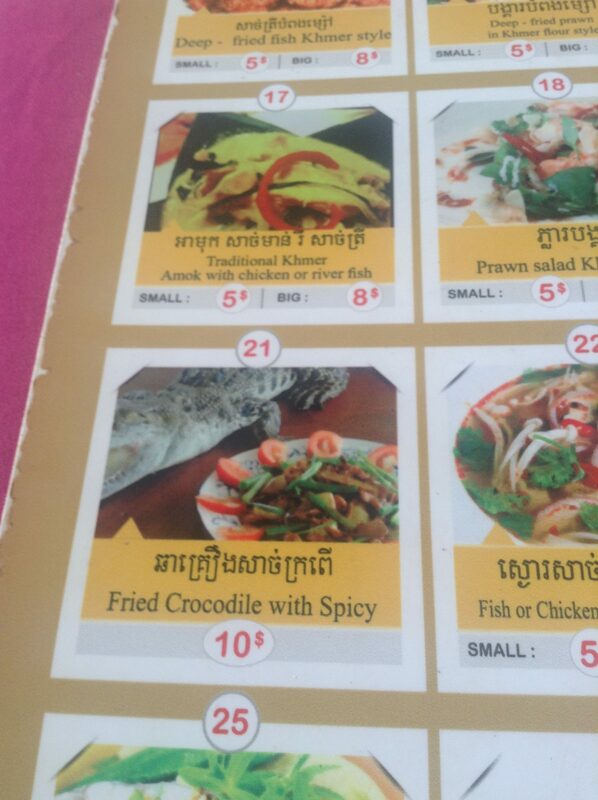 I’d never eaten crocodile meat in my life and it tasted like a cross between tough, shredded beef and fish. This tour was a welcome respite from mere temple hopping at Cambodia’s other natural wonder – Angkor Wat, which is covered in another blog. 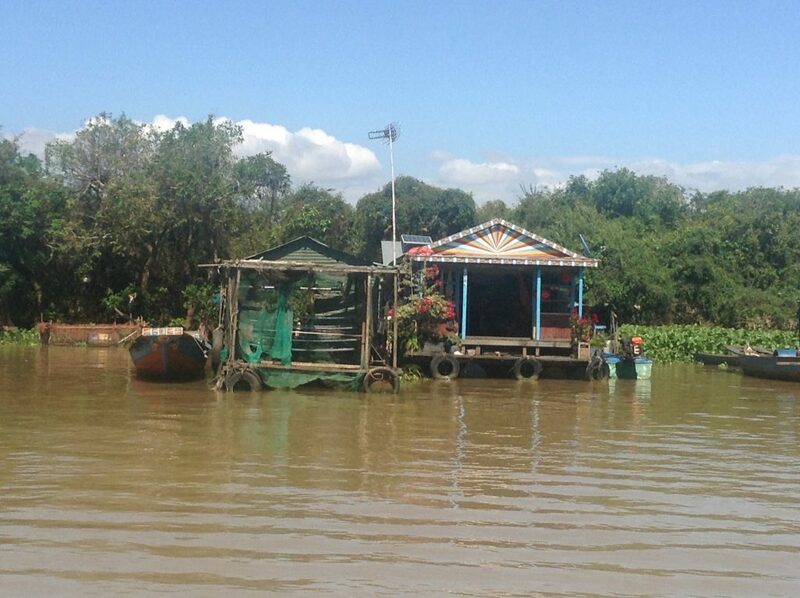 Tours across the Tonle Sap Lake can be organised via local travel agents and hostels. You’re likely to find the best deals by shopping around when you get there and bargaining with providers. Expect to pay anywhere between $15-$20 for a half-day tour. Expect to pay significantly more if you book in advance via a travel company.